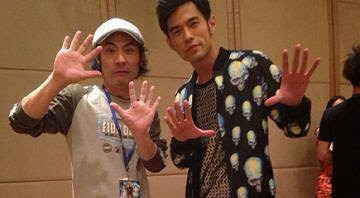 Jay Chou Diaoness: OPUS JAY: Dancers and Crew! 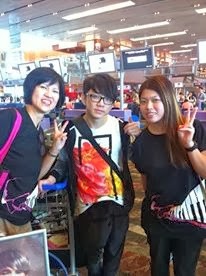 What would OPUS JAY be without Mr Chou's faithful and amazing crew and dancers?? Remember what Jay said on the China Youth Forum to Sisy about his instructions to his dancers who sometimes may feel that their role is not that important as all the audience cares about is watching Jay? This vid of the interview from my playlist highlights several very significant aspects of Jay. 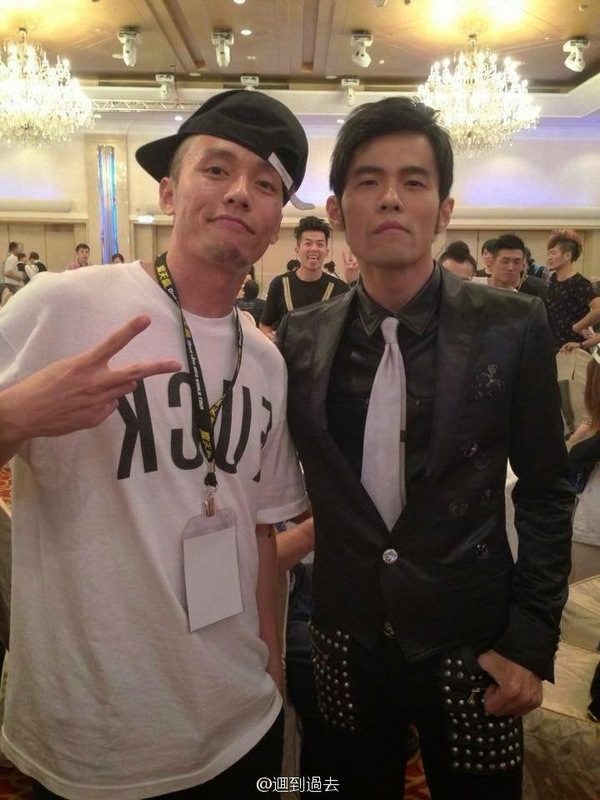 In the beginning, he was asked about the time he helped out a supporting dancer who was in some financial difficulties for a family member's surgery and Jay said he did not think twice about it as it was about saving a life and helping his staff. "If I had wallowed in self-pity back then, I would not now be sitting here with you." He also explains about the importance he places on rehearsals with regards to the sound balance to ensure that it is correct for the audience to fully enjoy the experience. From about 8:31, he calls out Xiao Mai to demonstrate how he 'scolds' them...lol! "You cannot think of it like that. Each of you must regard yourself as being the star on stage." It is a well-known fact that Jay is a good boss. Chou is also a generous and caring boss. Jones says: "He doesn't stinge. And most importantly, even as we're working, he'd make sure that we have been fed on time. "When we tour, he also sees to it every member of the entourage are taken care of in every aspect." 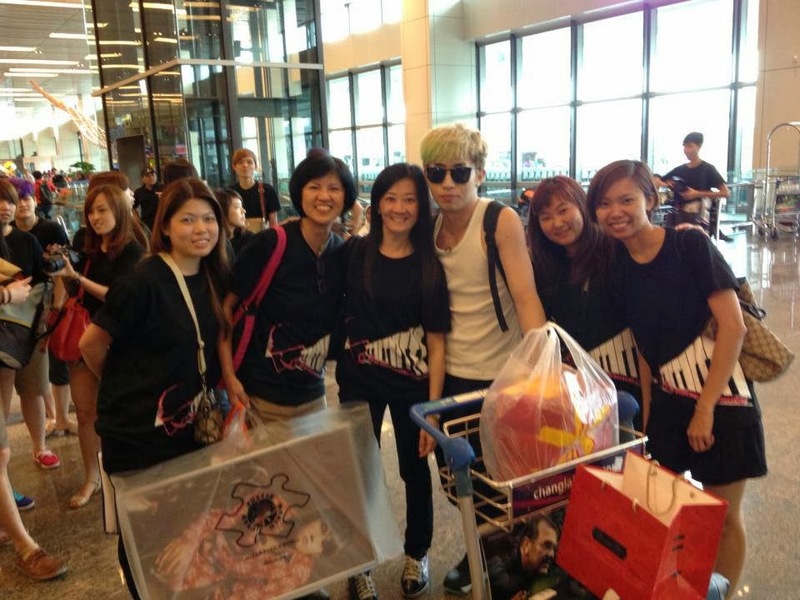 Here are some pics of Jay with his dancers and crew. 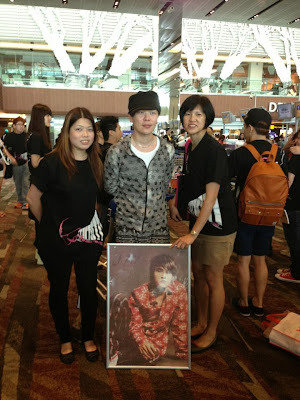 And some fan pics taken at the airport when they were leaving Singapore when the members of Jay Chou Singapore and Malaysia gathered to send them off on their way after an awesome three nights in Singapore. It was like a huge family get-together as they were all really sweet and friendly and posed willingly with us for photographs and even signed autographs! The OPUS JAY family ROCKS! 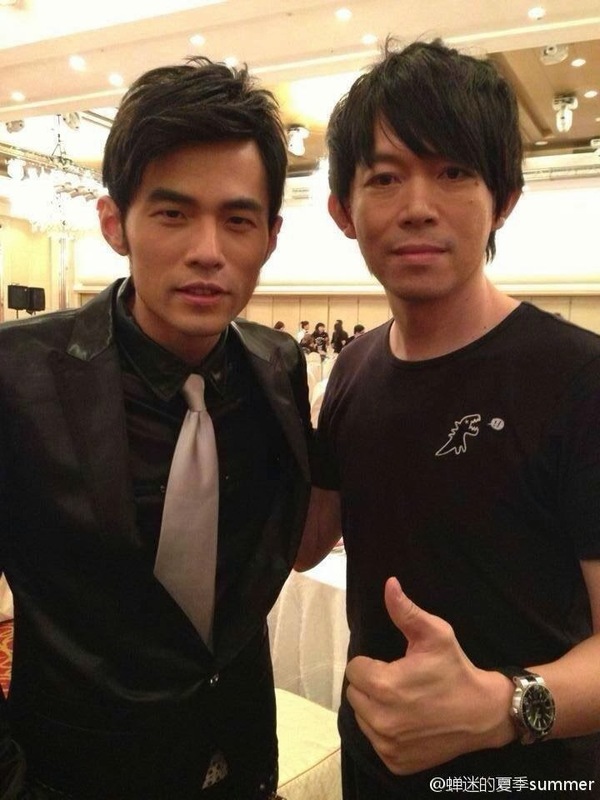 The concert in Shenzhen on 24 November will be the last OPUS JAY for 2013. Jay's mime artiste, Wang Ren Qian uploaded a beautiful vid of the crew and dancers rehearsing in Shenzhen. 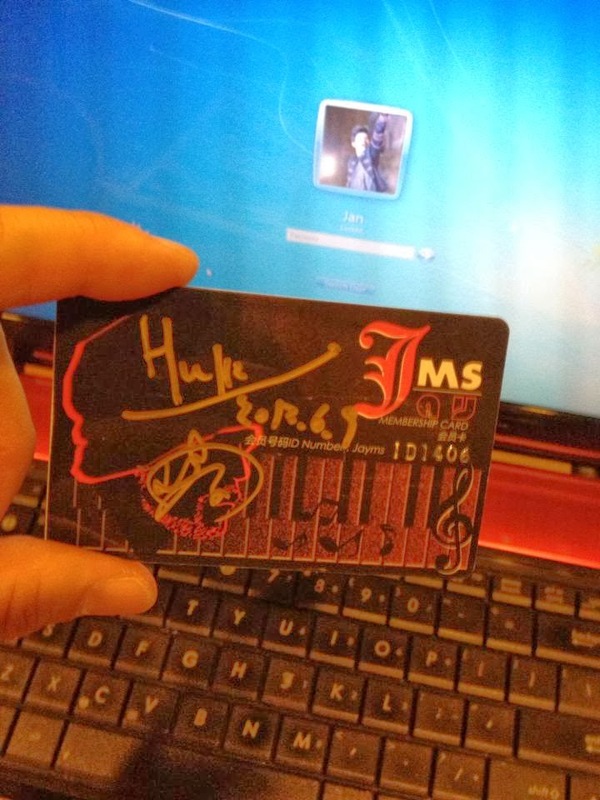 It is very well-done and I love the music! They obviously love their job and I think we can understand why. Here's to OPUS JAY Shenzhen!